45 - 94% Polyester / 6% Spandex Ultra Soft face with a 4 way stretch. 100% polyester laminated fleece backing with anti-pilling. DWR finish with 2A wash Teflon / Breathable coating. This all-purpose fabric can be worn year round and with its moisture management characteristic, makes it incredibly durable. 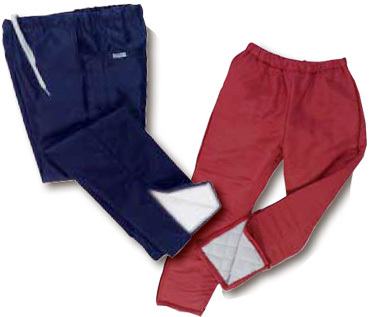 These warm-up pants feature a 12” outside zipper at the leg’s end. These warm-up pants are the same as the men’s pants except there is a shorter inseam, tapered leg and 1” shorter rise. Note: Braid patterns are not available in all jacket knit trim patterns.